Remember the mysterious barges that were floating off the coasts of a few states? Eventually Google admitted it owned the floating centers, though said they weren't going to be used simply as floating party boats, as rumored, and we learned that it was more likely they would showcase some of the company's special projects. Now, the company is hitting some roadblocks it probably should have seen a long time ago: the coast guard and other local authorities. 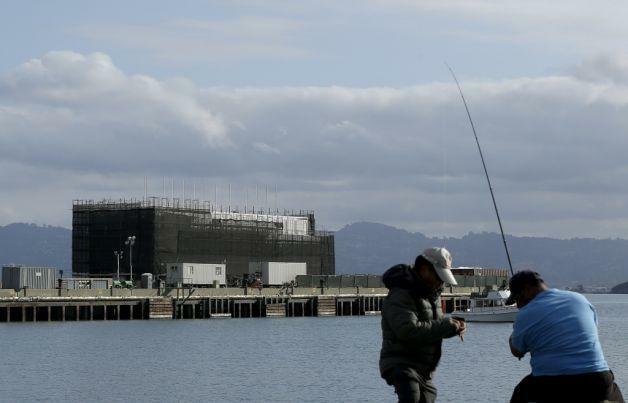 According to CNET, the U.S. Coast Guard and the San Francisco Bay Conservation and Development Commission (BCDC) are forcing Google to take a closer look at its barges, and to get the appropriate permits required to float a boat in the middle of the bay. "A variety of senior BCDC staff members have met with Google's representatives to learn about its plans," a BCDC representative told CNET. "We have learned that the barge is still under construction, albeit in a hiatus, and likely will not be completed until late spring 2014," the spokesperson said, noting that Google needs to make revisions to please the Coast Guard. "In addition, Google is still exploring options for how to use the barge when it is complete." The BCDC may even require Google to get a permit to even work on its barge, which could push the project back even further. While we're actually really excited to see what Google makes of the barges, it sounds like we're going to have to wait quite a while to see what really comes of them.